Maling's new work is rich and diverse, exploring physical landscapes as well as historical and socio-cultural aspects of place. In her latest, deeply personal, collection Maling travels the coast of Western Australia writing about what the ocean provides—fish, livelihoods, sand and the ever-present sea breeze. In doing so she questions what poetry might offer by way of solace and reconnection in an age of climate change. 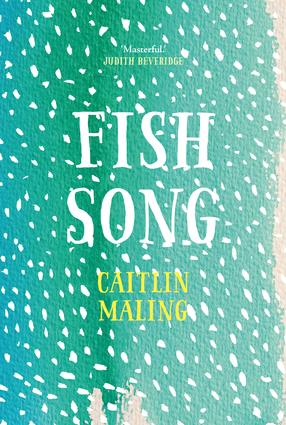 Caitlin Maling grew up in Western Australia, mainly in the suburbs around Fremantle. She moved to Melbourne to complete her BA in 2007, then to Cambridge to complete a Masters of Philosophy in Criminological Research. She returned to Perth and then left for Houston to complete an MFA in poetry, for which she received the WA Department of Culture and the Arts International Scholarship.